I brought my man there for the first time. 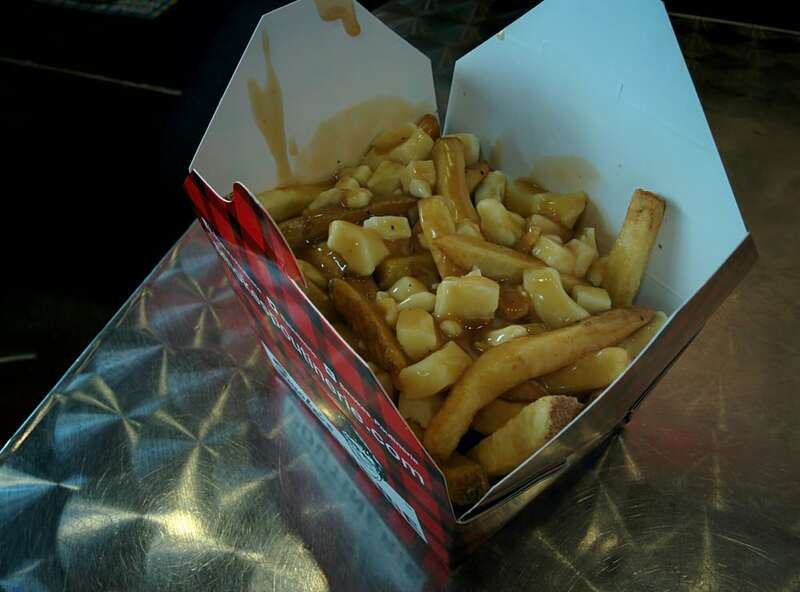 He is a poutine addict and he had never been. Tsk tsk. He stared at the menu like he was in heaven; he had no idea what to pick. The lovely lady working there told him not to be scared. She was great and knew a lot about Smoke's itself, not just the food. He got the Philly Cheesesteak and I got the usual Nacho Grande. I mentioned that I will eat guacamole on anything. She said I could get guac on whatever I wanted. Excellent. The Nacho Grande is my go-to, so I've got to try something new next time. My man LOVED his poutine. He said that the sauteed onions were perfect and the gravy was good. We'll be back; he already has his next meal picked out. 0 Response to "Smoke’s Poutinerie"